Black salt, Dry mango, Salt, Rock salt, Pomegranate seed, Coriander, Black pepper, Cumin, Sugar, Mint, Bishop’s weed, Chilli, Clove, Ginger, Cassia, Asafoetida and Acidity regulator (E330 & E 334). 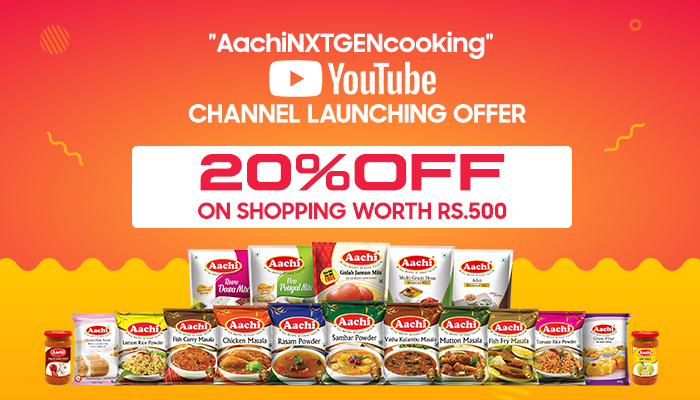 Make your food tastier by adding Aachi Chat Masala. 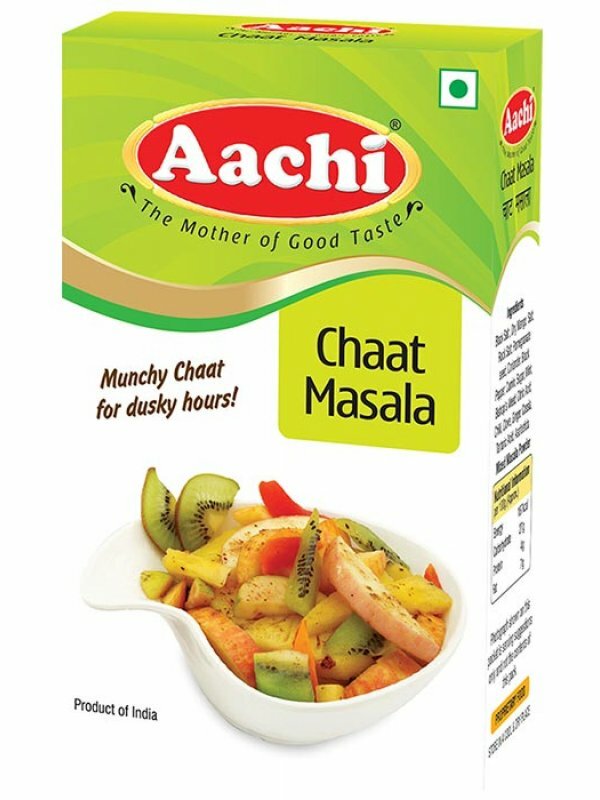 You can sprinkle this chatpata masala on fruit pieces, fruit juice, sandwich, wafers and various other chaat dishes. Mix the ingredients together. Add lemon juice, sprinkle cut coriander and enjoy your sweet corn chat.